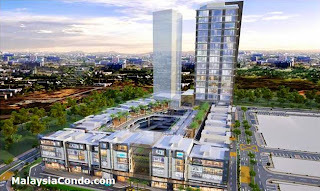 Aurora Place @ Bukit Jalil comprising of 3, 4, and 5-storey shop-offices, this modern up-market hybrid mall is set to blaze Bukit Jalil landscape as the “Happening Place” upon its expected completion in September 2016. 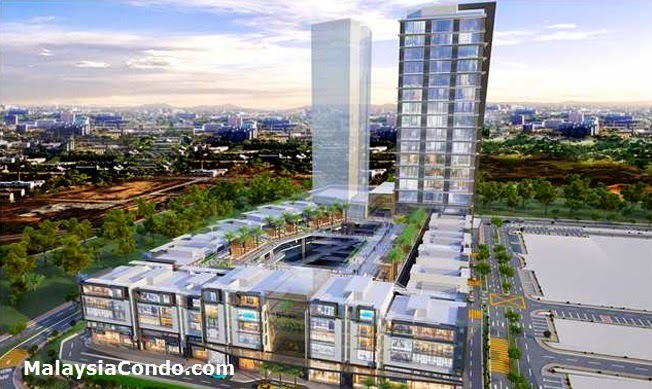 With only 64 units of shop-offices and 3 levels of basement carparks comprising of over 2,000 bays, this low density development will augur well to the surrounding neighbourhood of Bandar Bukit Jalil. The masterpiece of this mall is the landscaped rooftop courtyard which allows for “al-fresco dining” and an outdoor relaxation area for the weary shoppers and visitors. Lots are sized from 4,118 sq ft to 10,948 sq ft and moderately priced from RM2,743,000.00 to RM8,500,000.00. Built-up Area : 4,118 sq.ft. - 10948 sq.ft.